Hello! Today, I share with you a Very Berry Bath Bomb Gift Set! 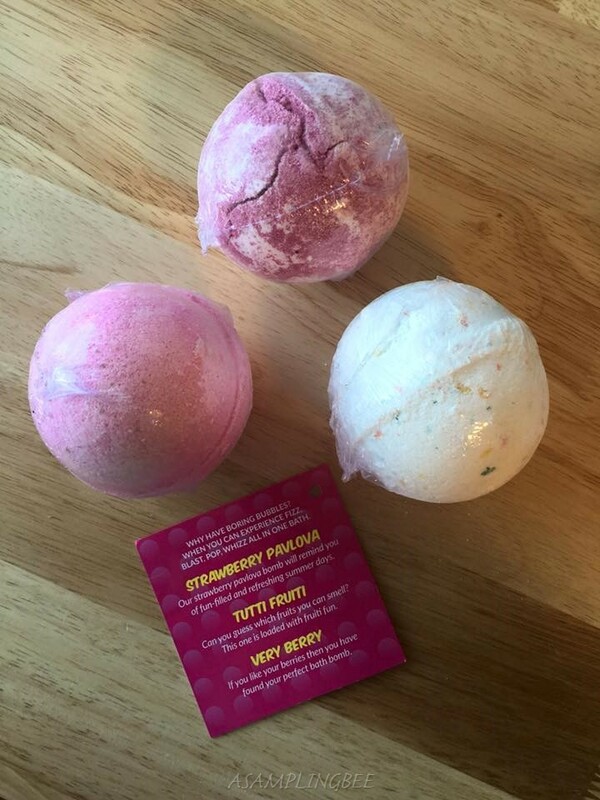 This gift set comes with 3 fun and fruity bath bombs. They fizz when placed into water. Making it fun for kiddos while they take a bath! Scents include: Strawberry Pavlova, Tutti Fruitti and Very Berry. 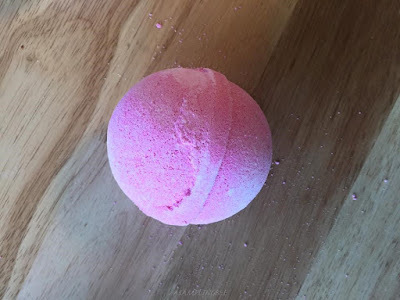 These bath bombs make a great gift or stocking stuffer! These bath bombs are okay. My son enjoys the fizzing bath bombs so he got a kick out of them. I am not too fond of them because they left his skin feeling slimy and gross. The scents of these bath bombs are a little too strong. But, their scents are nice. The two pink bath bombs left a terrible pink ring around the bottom of my tub. I had to use a magic eraser to remove the pink ring. The white bath bomb has little colored pieces in it. The pieces stick to the walls of the tub and dry. It's tough to remove those pieces. The bath bombs are about the size of a baseball. I do not recommend these bath bombs. Save your money. 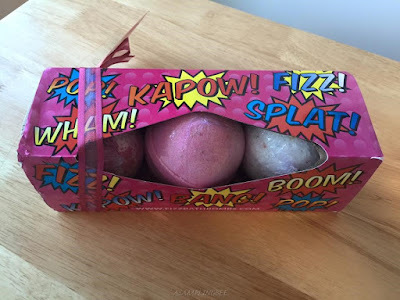 I received these bath bombs in exchange for my honest review. All opinions are my own. Always! Chomps Sticks Review and Giveaway!